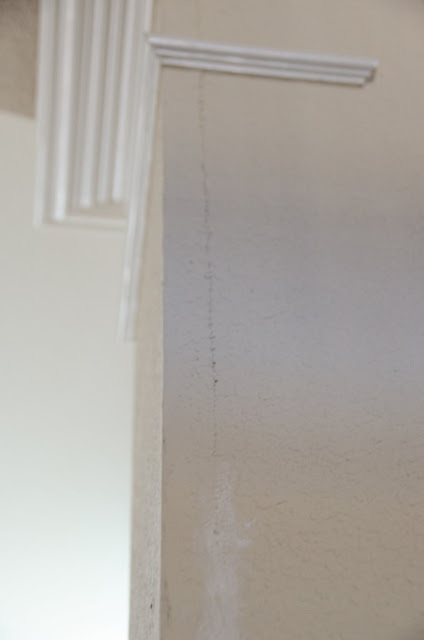 We built our home over 5 years ago and now that it is starting to settle a bit, we are getting cracks in the walls. In the beginning, the builder sent someone to fix the cracks, but within the year, they would come back which was a little frustrating. I talked to the best handy person I know, my dad. He told me that when the crack is very minor to just use some caulk. Best advice ever because its been a few years and they are still gone! 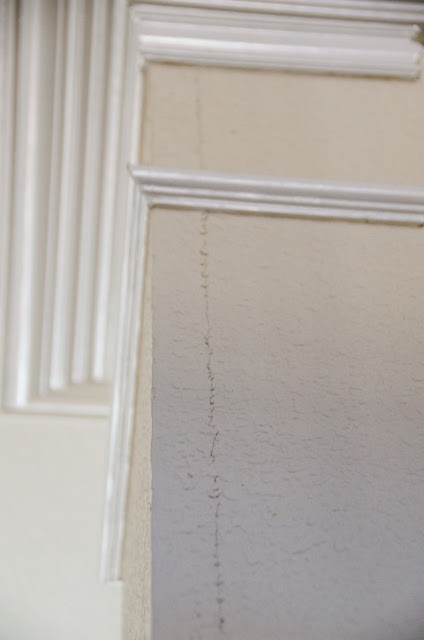 Here is an example of a crack in my wall. It looks pretty bad and scary (well, it did to me when I didn't know how to fix it). All I did was gently sand down any raised pieces of paint so that it would be level. This does not mean get rid of the texture if there are any. Sometimes when the walls crack, the paint where the crack is is no longer level. All I did was remove that. I used DAP Alex Ultra 230 caulk to fill in the crack. 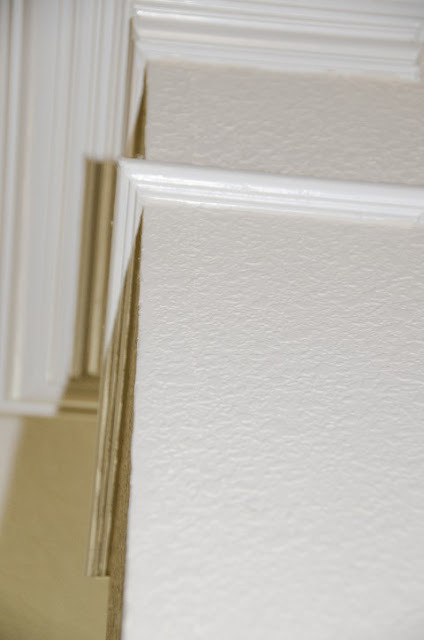 I applied a small amount along the line of the crack and used my fingers to force it in, removing any excess caulk. After I covered the entire crack, I waited until it was dry and then applied a coat of paint to cover the caulk.